The breakthrough in tumble drying clothes! The innovative Eco Egg Dryer Eggs are scientifically proven to reduce tumble drying time by up to 28%, saving both money and energy. When drying clothes normally in a tumble dryer, clothes can clump together in the drum leaving a lot of unused space. The rubber nodules on our innovative Dryer Eggs gently lift and separate clothes in your tumble dryer making use of all the available space which allows the heat of the dryer to circulate more efficiently. By gently lifting the fibres the Dryer Eggs break down stiffness and soften your clothes naturally without any harsh chemicals. And as an added bonus, the heat of your tumble dryer also activates the Dryer Eggs’ hypoallergenic fragrance sticks to gently infuse their delicate scent into your clothes, again without any harsh chemicals. So your clothes dry faster, use less electricity and smell gorgeous – DRY CLEVER. Unlike traditional tumble drying devices, the Eco Egg Dryer Eggs contain a hidden gem in the shape of a unique hypoallergenic fragrance stick infused with essential oil that fragrance your clothes in the dryer – a patent pending breakthrough! Available in sumptuous Soft Cotton or Spring Blossom, the Dryers Eggs leave your clothes smelling gorgeous and baby soft and are great for sensitive skin. The clever little eggs are also refillable. After 40 dries, just pop in a new fragrance stick (enclosed in your pack) and off you go. You can choose to use the dryer eggs without the fragrance sticks if you like, but if you do use them the gentle fragrance will leave your clothes smelling gorgeous. One pair of eggs are guaranteed for 3 years – it's the clever way to dry. Simply place both the Dryer Eggs in your tumble dryer on top of your clothes and dry as normal. You can dry your washing on the usual setting, observing all garment care instructions as you usually would. Available in Soft Cotton and Spring Blossom. 2 per pack with additional fragrance sticks. I always wanted something that would speed up drying time & leave my clothes smelling amazing, I searched everywhere, tried dryer sheets, tennis balls in with my clothes & nothing worked, but since I got the dryer balls, it’s after making doing washing that much easier! 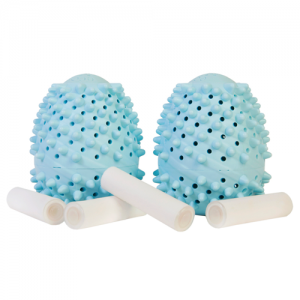 Just purchased 2 packs of the Eco Egg Dryer for my new eco trumble dryer. As u probably know already the a+++ pump trumble dryer takes alot longer to dry clothes but is way more energy efficient but I found the comfort scent would be gone after drying. These eco egg dryer are just great as they have brought the drying time down by 15 mins and the comfort scent is still on my clothes which is fantastic. I would highly recommended this product to everyone. Wow, oh just wow, I love them, laundry so soft and smell fresh plus the added bonus of saving the environment and money no more softened and throwing away plastic . Yes defo Eco friendly. This is a great product, clothes are freshly scented and drying time reduced! Win win! 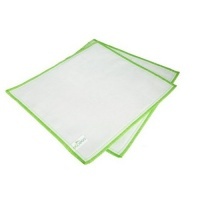 It's s gentle with all clothes and it's a good choice to help them to dry in the dryer. I found these very good, lovely fragrance in them and they stop the washing from sticking together. Love these eco- eggs - definitely helping on reducing the creases & drying time !